Minimize musculoskeletal injuries and improve data-driven rehabilitation. Help Patients Move Better with Objective Movement Scans and Data. Identify patient injury risk using comparative injury data from an anonymized database of nearly 1 million scans, 18,000 individuals and 8,000 injuries. Increase patient resilience against injury with personalized prescriptions based on Sparta Scan injury risk analysis. Assess new patients and monitor existing patients for prehab and rehab progress each visit to validate that your PT protocols are improving patient outcomes. Improve patient engagement and motivate exercise program compliance with Sparta Score visualizations in a simple patient report. The Sparta System delivers objective movement assessments to diagnose imbalances using machine learning software and force plate hardware. Monetize new and existing patients with reimbursable assessments (CPT Code 97750). Expand your revenue potential with community health and youth sports scans using the portable Sparta Scan system. Optimize revenue throughout the patient journey from prehab, rehabilitation and return to performance and sports activity. 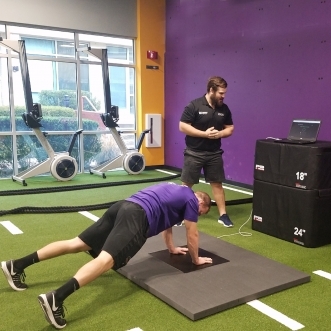 Physical therapists, trainers, coaches and medical professionals use Sparta Science to enhance performance, speed recovery and improve outcomes. "Clients feel more ownership over their rehab, improving their compliance in and out of the clinic, producing improved outcomes and increased engagement." "Sparta does a great job of singling out three pieces of information that helps us hone in on what will keep our athletes on the field." "Sparta is the wave of the future. Every individual we see wants to be as strong and as fit as possible. Being able to deliver objective data creates engagement, improves results, and keeps people coming back." Validated scientific assessments determine a patient's movement strengths and weaknesses. The Sparta Software compares a patient's results to our robust database and delivers actionable insights. with Dr. Phil Wagner, Founder-CEO of Sparta Science. 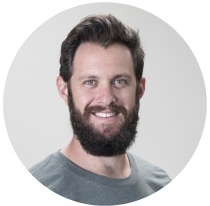 Schedule a call with Matt Long, Director of Healthcare, to see how Sparta Science can help your clients recover better and faster.